Mahatma Gandhi is one of the most celebrated men in India and abroad in recent history. He preached peace, tolerance, freedom, and love for others which earned him praise globally. His disregard for violence and oppression helped Indians push the foreign masters out of the sub-continent. In this course, he envisioned a state that would contribute to the collective good and peace of the world. But, he seems disappointed and deceived. If we look at today’s India, we come to know that it’s moving in a direction quite opposite to the one Mahatma envisaged for the country. Indian political elite has been misusing Gandhi to present a better and a peaceful picture of India for decades. Repeated reference to Mahatma’s principles can be found in the official’s speeches and overtures. But, it’s nothing more than an instrument of exploitation in the hands of political, military and religious elite. Nothing but just a rhetoric paving their way to materialize the desired objectives. Let’s take a bird’s eye view. Gandhi detested violence and preached peace as evident from his saying “Nonviolence is the first article of my faith. 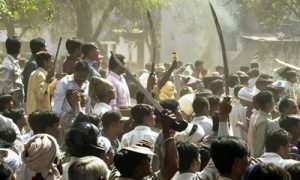 It is also the last article of my creed.” But, when we take stock of India’s policies locally and abroad, we reach the conclusion that it’s violence which is largely at play. Brutal oppression of minorities at home (Gujrat massacre), blatant use of military force and violence in IHK killing innocents, and sponsoring terrorism across borders stand in stark contrast to what he proposed. Moreover, India’s unprovoked firing and shelling along the line of control resulting in causalities of civilians do not send a message of peace, but that of war and violence. Does today’s Indian being the world’s second largest standing army (after PLC) satisfy his dream? The answer is a straightforward No. India, currently, is the fifth largest country in terms of its defense expenditure and the first, by far, in accounts of arm imports. This outstanding military posture strikes the founder of the nation down and it might hurt him knowing that militaries are raised to fight. In contrast, today, India’s chauvinist leadership has discredited Gandhi by not just being a silent spectator on the Palestinian fate but by extending a hand of cooperation in different avenues including defense which is at the heart of Indo-Israel ties. 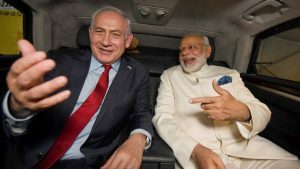 The recent visit of Israeli Prime Minister, Bibi Netanyahu, might have added salt to Bapu’s injuries as the content of the visit entailed only defense and economic deals. 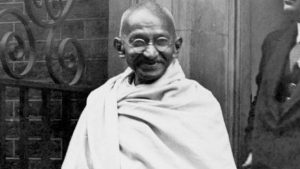 There wasn’t any reference to Gandhi’s views about the fate of Palestinians despite the protests against the ruthless and unjustified occupation of the Muslims’ territory. Why? Because it could have come in the way of arms deals. Apart from violence, oppression of minorities, militarization, and disregard for Palestinians’ rights, India has also failed to take lead in efforts to address environmental issues. Zafar Khan is a student of International Relations (NDU, Islamabad) and a freelance writer. He has worked at the Canadian High Commission in Islamabad. He is currently pursuing CSS. Nothing is stationary on Earth. Change is the sign of vitality. 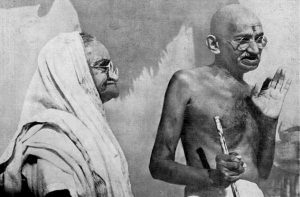 If Mahatma would have been alive today, he would have definitely wanted a strong, democratic India, which works for its people and protects itself as well as it’s friends and allies. Israel is a true friend of India, which Muslim countries must be knowing very well. So our relationship with Israel is for the best interest of both people’s. Our enemies can’t appreciate this because they are intolerant to our development. Good effort but try to relate content of each paragraph and maintain the flow of the point of discussion. Far as India’s friendship with Israel is concerned, it’s definitively in the best interest of Indian people, India does not need Muslims’ advice on this issue. Both countries are not only pursuing the strategic line but Israel is also gonna help India in industrial and agricultural fields. Leaving semi modern agriculture behind, India is moving towards precision agriculture with the help of tiny but intelligent Jewish state. Yessss… Ever since its inception, India has permanently adopted a jingoistic posture especially towards Pakistan. India’s permanent face-off with Pakistan is not good for both of the states as every year India’s defence devours major chunk of its budget keeping a visibly large segment of population below poverty line, and, same is the case with a relatively poorer nation: Pakistan. This animus neither supports Qaid’s vision nor it helps materialising M. K. Gandhi’s nonviolence. Poverty and extremism is a common enemy of both the nations that, unfortunately, are not serious issues for our political or military elite. @Dr. Sb The purpose of this piece of writing is to unearth the contast between Idiological and practical aspects of policies of India. And, an analyst has no religion.